soup. auntie Bes, my Filipino help who has been with us for 24 years, makes very good Chinese soup. They could be pork ribs with peanuts or lotus root soup, chicken bones & feet with old cucumbers or carrots or watercress or even green papaya, largely in the vein of Cantonese 例汤 – soup of the day. auntie Bes doesn’t do soup using pork (she only used pork ribs) though this is also common with Chinese soups and these days we don’t use much of Chinese ham (京华火腿) though in the early days when I travel to Beijing & Shanghai more, I did cart some of these back for soup. when I started doing homecooked dinners for friends, if I were doing dishes like braised duck, curry chicken and kakuni (Japaense braised belly pork), auntie Bes’ soup was a perfect fit. But then I also started doing western dinners, and soon afterwards after several visits to and enjoyable meals at La Cicala Spanish Gastrobar, I learned to cook a Basque seafood bisque, using prawn shells with white wine & brandy to create the bisque, with leek, yellow onions & carrots to add vegetable sweetness to the soup. It was quite successful & I used it for several of my homecooked dinners. But that was the only soup I knew how to cook, that is until yesterday. I had another 8-course lunch for 9pax yesterday so I thought I would test out another soup, and I kind of thought mushroom soup would be the most common, easiest to do and acceptable to most. So who do I turn to? 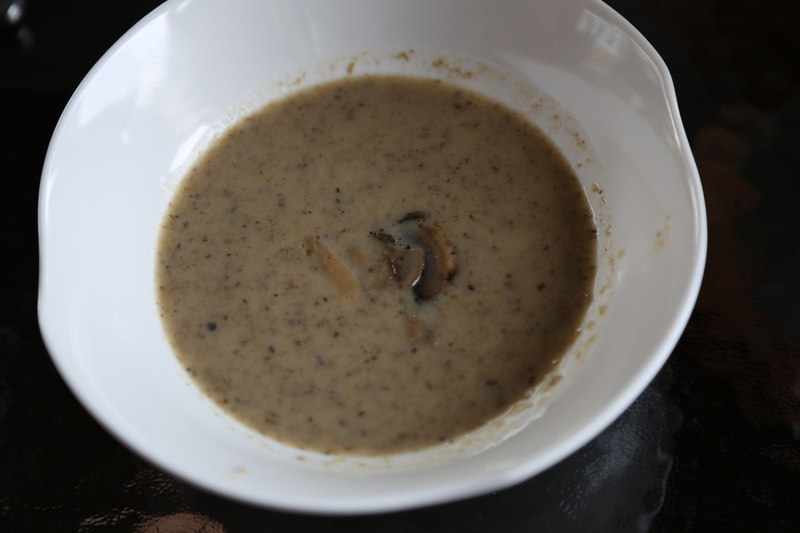 you guess it right – Foodwishes.com Chef John’s creamy mushroom soup recipe. It went really well at first try, and all my friends enjoyed the soup very much. slice the button mushrooms, and diced the yellow onion & leek. caramelise the mushrooms in a soup pot with 1 teaspoon salt in high then medium heat. add the yellow onion and leek & cook until they soften. 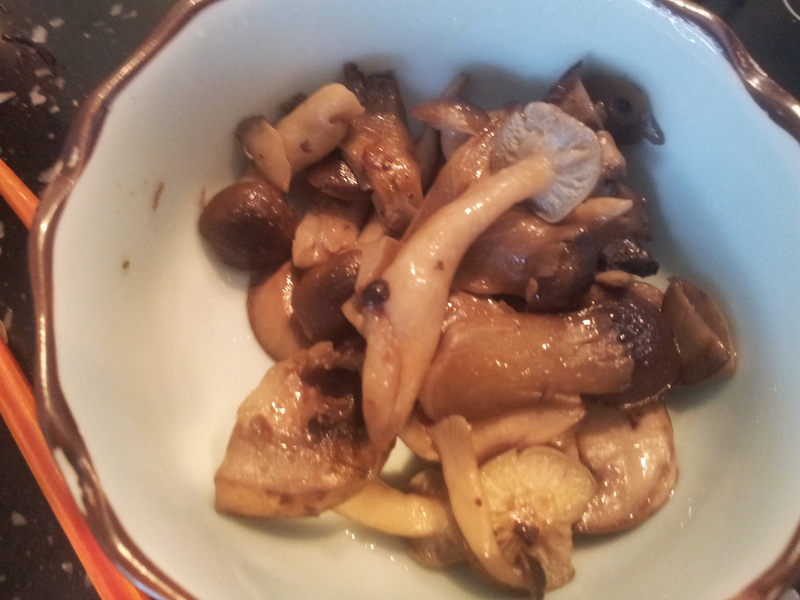 take out some caramelised mushrooms for toppings if you like. add a tablespoon of flour to thicken. add 1 cup of white wine and reduce, and add 3 cups of chicken stock. bring to boil & then turn fire to low & cook for 1.5hrs. let the soup cool or add more cold chicken stock or water, then blend it in a blender in batches. bring the blended soup to boil adding stock or water as necessary to taste according to your own preference. turn fire to low and add 2 tablespoon of heavy cream and mix well. serve with dash of extra virgin olive oil & caramelised mushroom toppings. 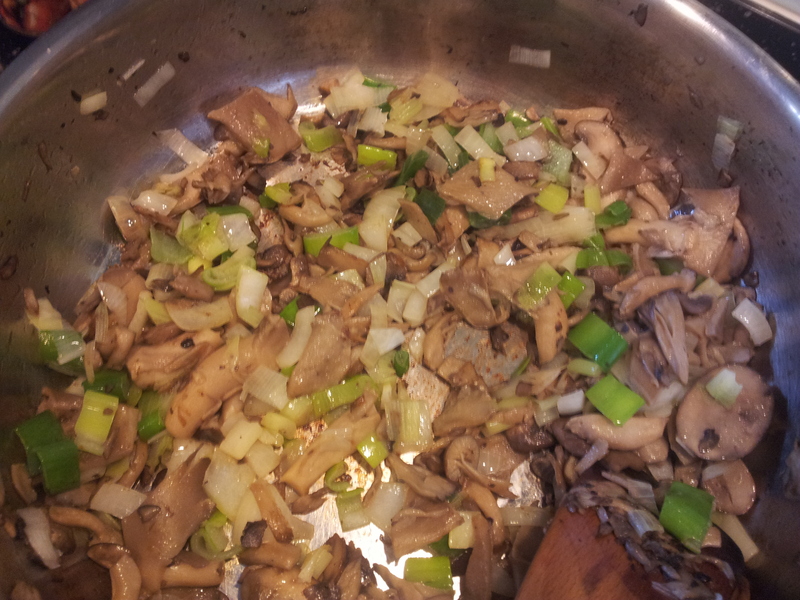 This entry was posted in Recipes and tagged mushroom, soup. Bookmark the permalink.